The words come from the poem by the great Sufi poet Hafiz, who insisted: “The bird’s favorite songs/You do not hear,” but Opium Moon’s Grammy-nominated, self-titled debut album allows this hidden music full flight.At once timeless, ancient but modern, a journey from the heart of four individual musicians created in the present moment, ethereal and earthy,multi-ethnic and inclusionary, its five extended tracks defy categorization. Opium Moon is a fever dream, a once-in-a-lifetime collaboration seemingly destined to take shape. Its participants come from allover the globe, a veritable world music superstar team. The four principals cohere as a single entity with a fused musical soul -- Iranian santoor maestro Hamid Saeidi, sought-after Israeli bassist Itai Disraeli and wife, Canadian-American violin virtuoso and film composer Lili Haydn, along with U.S.-born M. B. Gordy, a go-to percussionist who’s worked with such award-winning movie composers as Hans Zimmer, Alexandre Desplat, and Marco Beltrami (where he reconnected with Haydn while working on a live version of his Oscar-nominated “3:10 to Yuma” score). 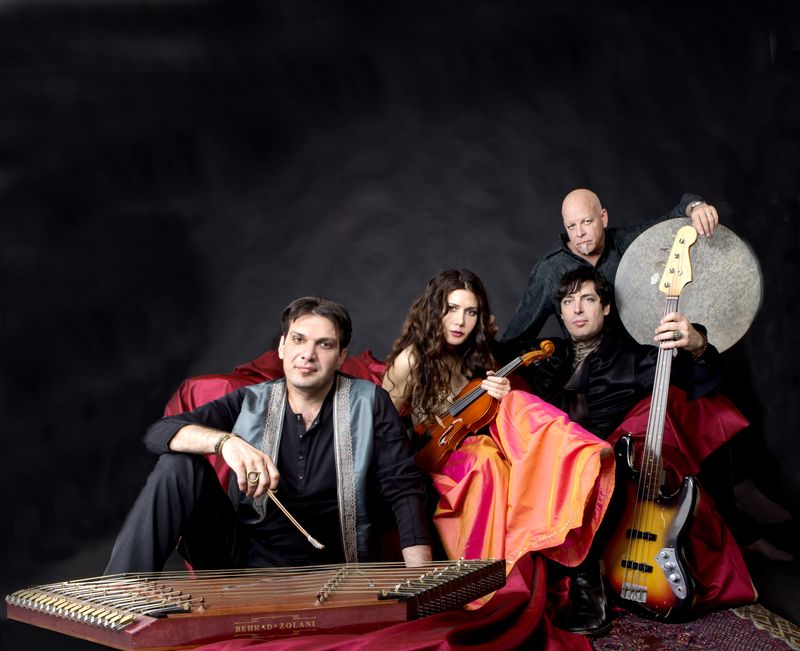 The process occurred naturally, starting with a jam session featuring Lili, Itai and Hamid Saeidi, an acclaimed Iranian musician who was one of his country’s leading film and TV composers before arriving in the U.S.nine years ago. Haydn has released five solo albums, scored 15 feature films and collaborated over the years with the likes of Herbie Hancock, George Clinton’s P-Funk, Roger Waters and Sting, as well as performing a memorable version of “Kashmir,” then touring as the opening act with Jimmy Page and Robert Plant. She recently presented her fourth TED talk, accompanied by a30-person multi-ethnic choir in Kansas City. “I am a man, I will be counted” is the refrain, and it’s one Lili takes very seriously in these treacherous political times. Indeed, the unexpected Grammy nomination has now offered validation for that creative risk and somehow encouraged them to continue on this path. For Haydn, the Grammy nomination allows her to pay tribute to her late mother, Lotus Weinstock, the first female comic to headline the Comedy Store, a contemporary of Jay Leno, Jerry Seinfeld, and Bill Maher, who never achieved mainstream recognition, but served as a spiritual role model for similar characters in The Marvelous Mrs.Maisel and I’m Dying Up Here. Opium Moon. World music from another world which just might change history.